The RDP Radio Pouch has adjustable side and bottom hook & loop straps to fit a wide range of radio sizes. An adjustable top bungee retention with durable buckle keeps the radio secure. 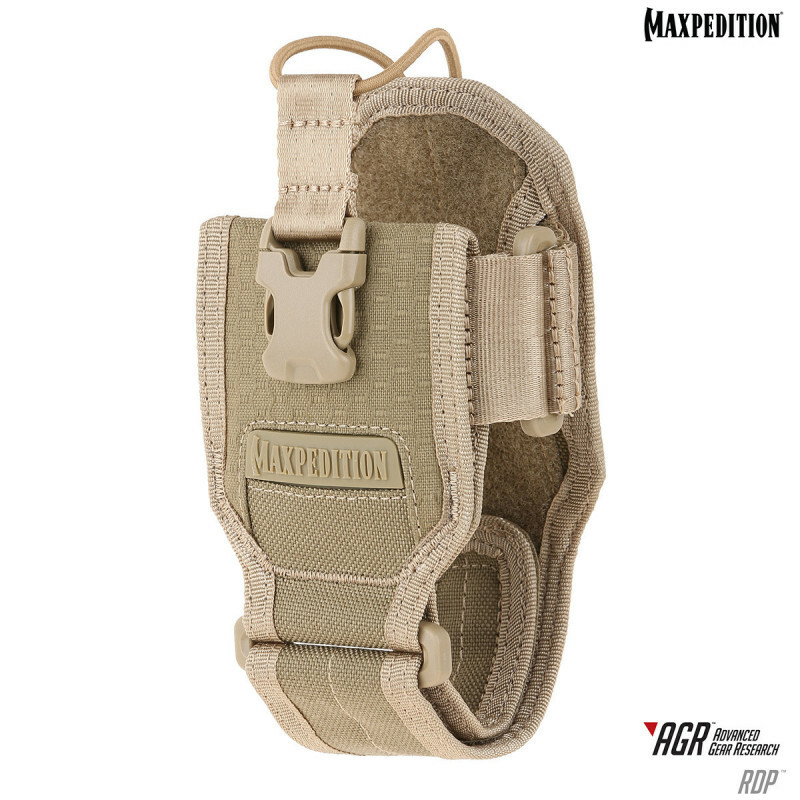 It comes with one (1) matching TacTie® PJC3™ Ploymer Joining Clip for modular attachment to any MOLLE-compatible surface such as ATLAS™ or PALS. The RDP Radio Pouch has adjustable side and bottom hook & loop straps to fit a wide range of sizes of GPS devices or radio's.